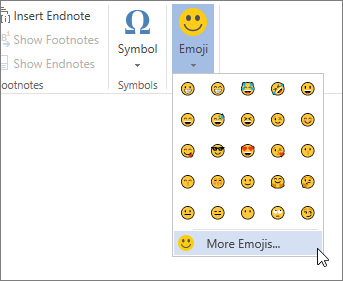 To add emojis to your document, go to the Insert tab and select Emoji. Word Online displays some smileys and people. To choose from the entire set of emojis, select More Emojis. For a few emojis, Word Online automatically converts characters as you type them.